Did they hear when He told Peter, "Peter, put up your sword"? Saying, "Master, tell me why a man must be born again." When He said, "Pick up your bed and walk, why must you criticize? Same thing My Father do, I can do likewise." He said, "All power is given to Me in heaven and on earth." Did they know right then and there what that power was worth? On April 25th 2001, Bob chose to treat a lucky audience in Cape Girardeau, Missouri to the first live performance of "IN THE GARDEN" since July 1996 [mp3 link below]. Considering 34 performances of "I AM THE MAN THOMAS" in the previous 20 months, it was not all too surprising that he chose to sing again one of his own overt statements about his risen Lord and Saviour Jesus Christ. He had performed it once in 1996, nine times in 1995, 24 times in 1994, and 300 times before from 1979 until 1991. So in Cape Girardeau only Tony Garnier was familiar with this gem. Sadly this has been the only performance of "IN THE GARDEN" in 2001, so the other band members could not become more familiar with this jewel. For a jewel it was, as a recording of this show proves. Sandwiched between "MOST LIKELY YOU GO YOUR WAY AND I'LL GO MINE" and "TO BE ALONE WITH YOU" this song was a part of one of the finest three-song-electric-sets of the year. 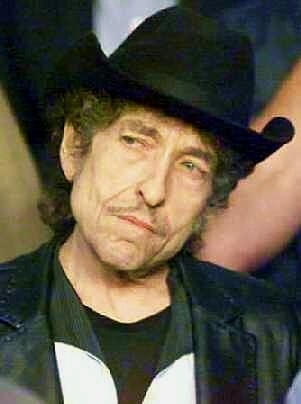 Almost one year later, during the 10th show of his European tour, on April 17th 2002, Bob Dylan surprised a German audience with the only performance of "IN THE GARDEN" of that year [mp3 link below]. Sadly this great song has not appeared on stage since 2002. When Jesus had spoken these words, he went out with his disciples across the Kidron Valley, where there was a garden, which he and his disciples entered. Now Judas, who betrayed him, also knew the place, for Jesus often met there with his disciples. So Judas, having procured a band of soldiers and some officers from the chief priests and the Pharisees, went there with lanterns and torches and weapons. Then Jesus, knowing all that would happen to him, came forward and said to them, "Whom do you seek?" They answered him, "Jesus of Nazareth." Jesus said to them, "I am he." Judas, who betrayed him, was standing with them. When Jesus said to them, "I am he," they drew back and fell to the ground. So he asked them again, "Whom do you seek?" And they said, "Jesus of Nazareth." esus answered, "I told you that I am he. So, if you seek me, let these men go." This was to fulfill the word that he had spoken: "Of those whom you gave me I have lost not one." Then Simon Peter, having a sword, drew it and struck the high priest's servant and cut off his right ear. (The servant's name was Malchus.) So Jesus said to Peter, "Put your sword into its sheath; shall I not drink the cup that the Father has given me?" So the band of soldiers and their captain and the officers of the Jews arrested Jesus and bound him. Now there is in Jerusalem by the Sheep Gate a pool, in Aramaic called Bethesda, which has five roofed colonnades. In these lay a multitude of invalids�blind, lame, and paralyzed. One man was there who had been an invalid for thirty-eight years. When Jesus saw him lying there and knew that he had already been there a long time, he said to him, "Do you want to be healed?" The sick man answered him, "Sir, I have no one to put me into the pool when the water is stirred up, and while I am going another steps down before me." 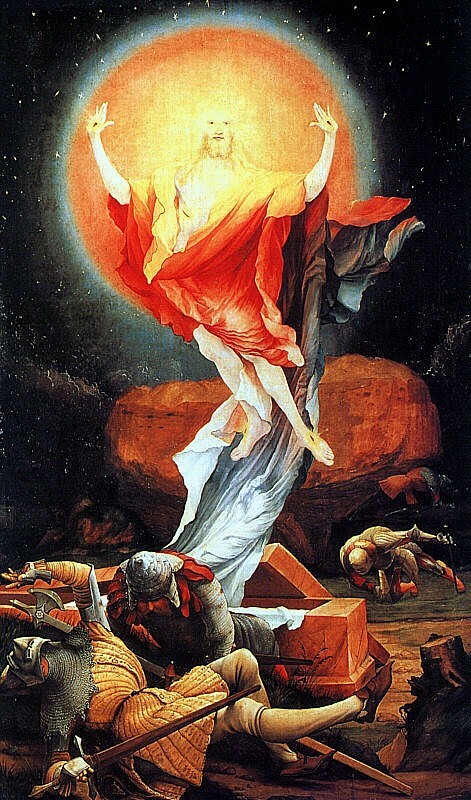 Jesus said to him, "Get up, take up your bed, and walk." And at once the man was healed, and he took up his bed and walked.Now that day was the Sabbath. So the Jews said to the man who had been healed, "It is the Sabbath, and it is not lawful for you to take up your bed." But he answered them, "The man who healed me, that man said to me, 'Take up your bed, and walk.' " They asked him, "Who is the man who said to you, 'Take up your bed and walk'?" Now the man who had been healed did not know who it was, for Jesus had withdrawn, as there was a crowd in the place. Afterward Jesus found him in the temple and said to him, "See, you are well! Sin no more, that nothing worse may happen to you." The man went away and told the Jews that it was Jesus who had healed him. And this was why the Jews were persecuting Jesus, because he was doing these things on the Sabbath. But Jesus answered them, "My Father is working until now, and I am working." This was why the Jews were seeking all the more to kill him, because not only was he breaking the Sabbath, but he was even calling God his own Father, making himself equal with God. So Jesus said to them, "Truly, truly, I say to you, the Son can do nothing of his own accord, but only what he sees the Father doing. For whatever the Father does, that the Son does likewise. Lifting up his eyes, then, and seeing that a large crowd was coming toward him, Jesus said to Philip, "Where are we to buy bread, so that these people may eat?" He said this to test him, for he himself knew what he would do. Philip answered him, "Two hundred denarii would not buy enough bread for each of them to get a little." One of his disciples, Andrew, Simon Peter's brother, said to him, "There is a boy here who has five barley loaves and two fish, but what are they for so many?" Jesus said, "Have the people sit down." Now there was much grass in the place. So the men sat down, about five thousand in number. Jesus then took the loaves, and when he had given thanks, he distributed them to those who were seated. So also the fish, as much as they wanted. And when they had eaten their fill, he told his disciples, "Gather up the leftover fragments, that nothing may be lost." So they gathered them up and filled twelve baskets with fragments from the five barley loaves, left by those who had eaten. When the people saw the sign that he had done, they said, "This is indeed the Prophet who is to come into the world!" Perceiving then that they were about to come and take him by force to make him king, Jesus withdrew again to the mountain by himself. Now the eleven disciples went to Galilee, to the mountain to which Jesus had directed them. And when they saw him they worshiped him, but some doubted. And Jesus came and said to them, "All authority in heaven and on earth has been given to me. Go therefore and make disciples of all nations, baptizing them in the name of the Father and of the Son and of the Holy Spirit, teaching them to observe all that I have commanded you. And behold, I am with you always, to the end of the age."